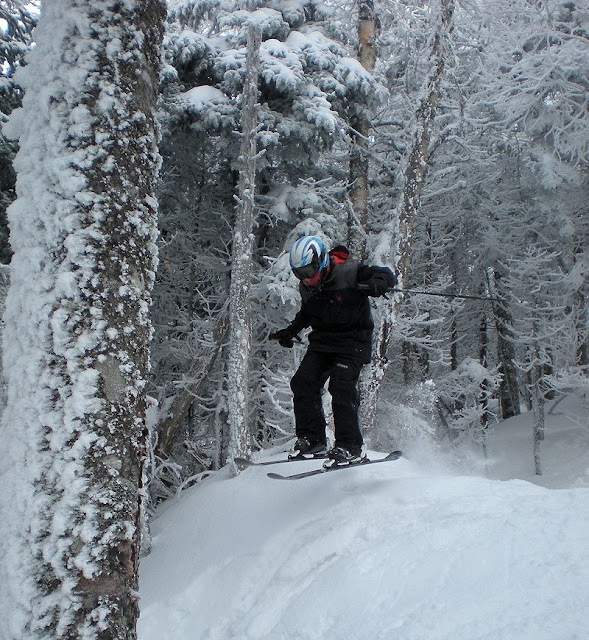 2011-12 was an interesting ski season for @MaineSkiFamily. An early October snowstorm got us all fired up but as we all know, the winter snow events were very inconsistent. Record breaking heat in March effectively killed the snow pack making an early end to the ski season at most areas. Last year we skied on May 1st! All things considered, we still had a pretty good ski year. In looking back at our trip reports we got in over 20 ski days as a family and the boys were on the mountain many more times with their school race teams. Here are some of my favorite images and moments of the 2011-12 season. 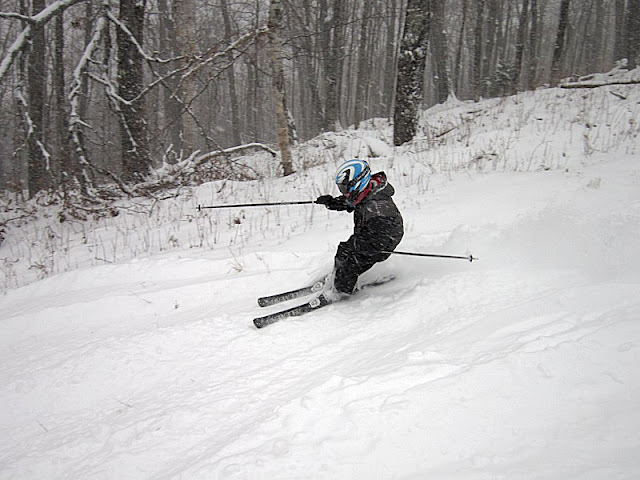 We got major-lucky at Sugarbush Vermont in March. After driving over in a pouring rain Day 2 of the trip was a foot of fresh. It was great exploring a new mountain in deep snow. Despite the hit-or-miss snow events, Saddleback still offered some great glade skiing this year and we certainly took part. 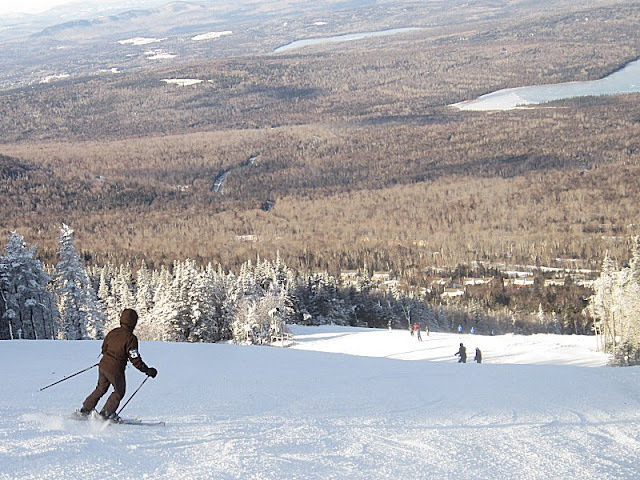 When your family can ski the glades, it really opens up the mountain to new and exciting ski possibilities. The first run of the year is always special. The anticipation of the ride to the mountain and the feeling when you first click into your skis and carve your first turn knowing a full ski-season is ahead of you. The boys first runs of the year were in 6 inches of fresh snow at Sugarloaf in November. So overall we can't complain. There was some snow and the mountains made snow when they needed to. We had fun together as a family and that is what really counts. We took advantage of pre-season prices and we already have our Saddleback season passes for 2012-13! We are going to enjoy summer but we are looking forward to another ski season in Maine! Congrats on a great ski season! Nice reminder that there was plenty of good skiing even in this poor winter. It's amazing that your visit to Sugarbush was just a few days before mine, yet we had such completely different conditions: powder (you guys), and spring corn (me). Here's to a cold & snowy 2012-13!